In June 2018, we will celebrate the 200th birthday of Dr. Ignaz Semmelweis (1st of July). In the occasion of this day the Semmelweis Foundation will organise a scientific event to honour this famous doctor. 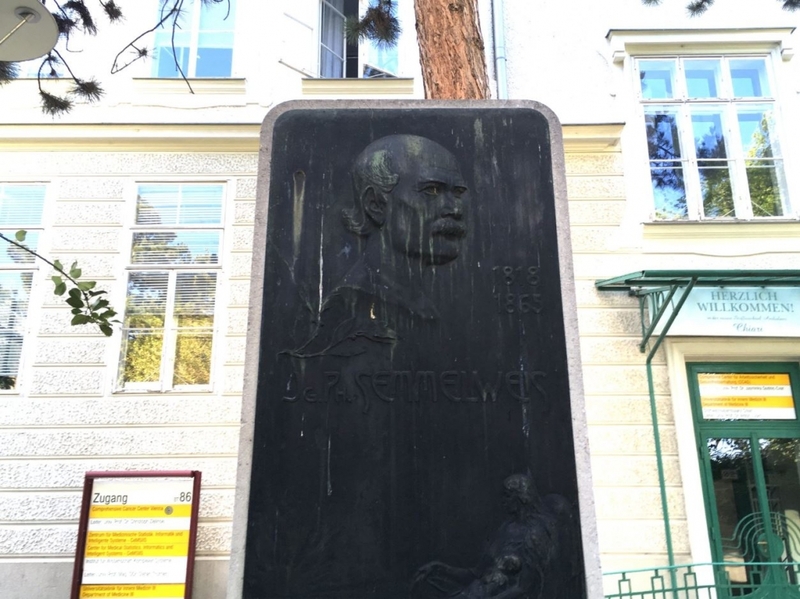 In the course of the preparations we asked ourselves: Wouldn’t it be nice not only to concentrate on Semmelweis and his achievements but also to take the occasion to get in contact with his family? Some weeks ago, we made a first step, and we wrote an E-Mail to the Semmelweis Museum in Budapest. They sent two contacts – one of the two was Austrian – Dr. Karl Semmelweis. We wrote an E-Mail and got a promt reply. Karl Semmelweis originates from that family branch that remained in Eisenstadt/Burgenland (The father of Ignaz Semmelweis, Josef, lived in Eisenstadt). In the course of the E-Mail conversation it turned out that Karl Semmelweis is the author of the book „Ignaz Philipp Semmelweis – Mothers’ Savior”, published in 2016. In the last chapter, the author describes a situation during his years of study. The professor of Karl Semmelweis, taking a look in the student handbook, said: “This name obliges”! This experience, writes Karl Semmelweis, was among others a reason why he wrote the book. Yes, this name obliges also us, the Semmelweis Foundation, and we are doing our best to work in his sense. https://semmelweis.info/wp-content/uploads/2017/07/monuments.jpg 938 1253 Carola Timmel https://semmelweis.info/wp-content/uploads/2018/11/logo2.png Carola Timmel2017-07-11 14:33:492019-01-09 13:15:23"This name obliges!"